This immune-system herb has a long traditional use; it's incredibly effective as a first line of defense against cold and flues. 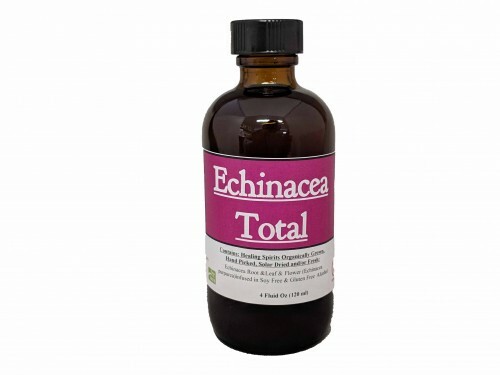 Echinacea is widely used to fight infections, especially the common cold and other upper respiratory infections. Some people take echinacea at the first sign of a cold, hoping they will be able to keep the cold from developing. Other people take echinacea after cold symptoms have started, hoping they can make symptoms less severe. Echinacea is also used against many other infections including the flu, urinary tract infections, vaginal yeast infections, genital herpes, bloodstream infections (septicemia), gum disease, tonsillitis, streptococcus infections, syphilis, typhoid, malaria, and diphtheria. Made with the whole plant, Echinacea Root, Flower and Leaf.